Shaken and Stirred - the ultimate Bond concert with excerpts from all 24 films from Dr. No to SPECTRE. 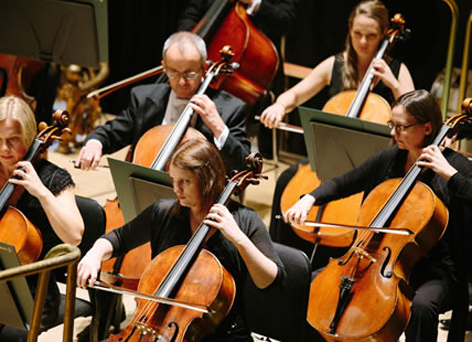 Yorkshire's symphony orchestra, the Orchestra of Opera North, is performing music from all 24 Bond-blockbusters on 26 January at Huddersfield Town Hall before repeating the concert later at Leeds Town Hall in April. Complete with electrifying vocals from West End superstar Simon Bowman, and recording artist Mary Carewe, this concert is guaranteed to thrill from the very first note to the last! With classic songs made famous by great artists such as Shirley Bassey, Tom Jones, Matt Monro, Paul McCartney, Duran Duran, Tina Turner, Adele, Sam Smith and more, this evening is dedicated to the world’s most famous spy. Led by Gareth Hudson and joined by two of the leading vocal artists of the Bond repertoire, Mary Carewe and Simon Bowman, from the moment the Orchestra of Opera North strike up the iconic James Bond Theme you will realise that ‘Nobody Does It Better’ as you’re immersed in an evening of classic Bond music which will leave you shaken AND stirred. Visit Orchestra of the Opera North website for dates and tickets.